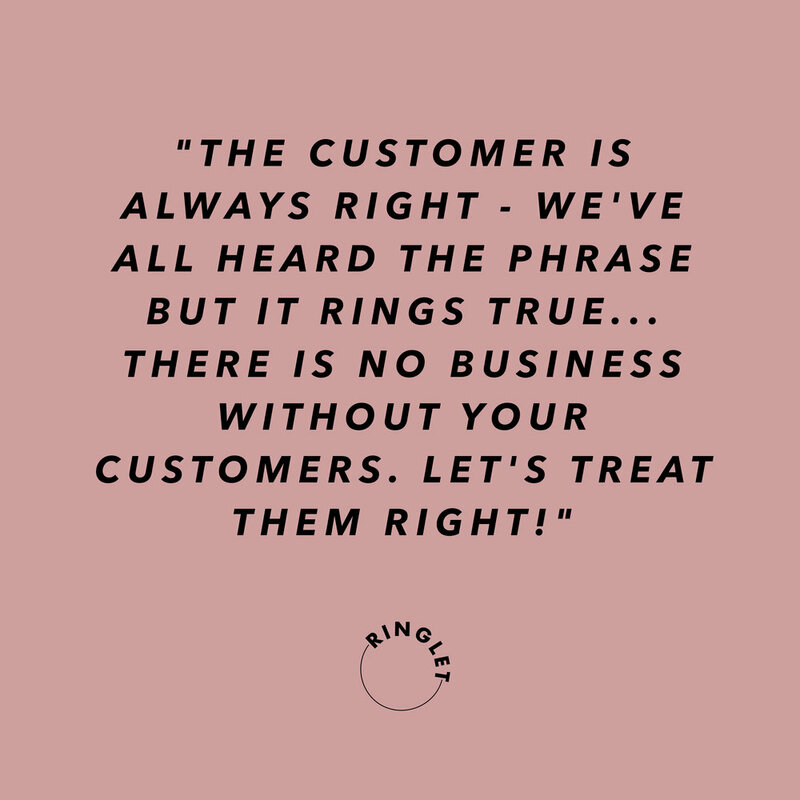 We've all heard the phrase, but as small business owners there is no better lesson learned than treating your customers right! After all, they are your business' revenue - without them there would be no business. That is why it is important to evaluate your client experience, with the intentions of improving it, on a regular basis!! Today, we hope these 3 simple rules will allow you to wow your clients, help you gain repeat business, and build a steady stream of referrals, and boost your overall client experience! This is the first and most important rule to internalize. Your mind might jump straight to gift giving, but I assure you this doesn’t require spending money. It does require a willingness to learn about your client’s minimum expectation and a commitment to go beyond that. If you’re a client-based business, learn about your client’s passions, collections and quirks. Share related events, articles and even small gifts when you find them. It’s the thought that counts. If you’re a consumer product or digital product business, you can use humorous, celebratory or inspirational language throughout your website, pop-ups, emails and notifications. Add in a handwritten card along with your product. Throw in an extra goodie, even a branded sticker or pin. A little surprise and can make a significant impact. Practical Tip: Develop a Welcome Email infused with your personality, freebies, and a little humor (think funny GIF)! We all know at least one person who always ‘thinks of everything.’ Be like that person and think about anything and everything your client may need as they go through their client journey. We aren’t mind-readers, so I recommend 1) scheduling feedback calls with your customers and 2) going through the same steps as your clients. Book or purchase your services/products from yourself on your phone, desktop, and tablet. Send yourself your own product and see how it arrives in the mail. Go through the experience and think of any and all struggles a customer might have. For instance, if your client has a question or needs to return something, leave a card inside the package with a support number or email. Automate an email or Facebook message to arrive as soon as the package arrives or when you anticipate there is any step in the client’s journey, where they will need you for something. Look beyond anticipating ‘problems’ and plan on how you can optimize the happy moments too. More specifically, the moments when they are over-the-moon happy and want to tell their friends. Is it upon opening a package or receiving a ‘surprise and delight’ gift? Think about how you can make it easy for them to share this moment (hey, referrals!) and you’ll begin seeing your optimized client experience pay off, literally. Don't be afraid to get personal and creative with your business' client experience! After all, this experience will be directly attached to your brand and their perception of your product/services! Make it count - You got this girl boss!! Sign up with your email address to receive news, updates, our weekly Ringlet, freebies, district boss interviews, and so much MORE!